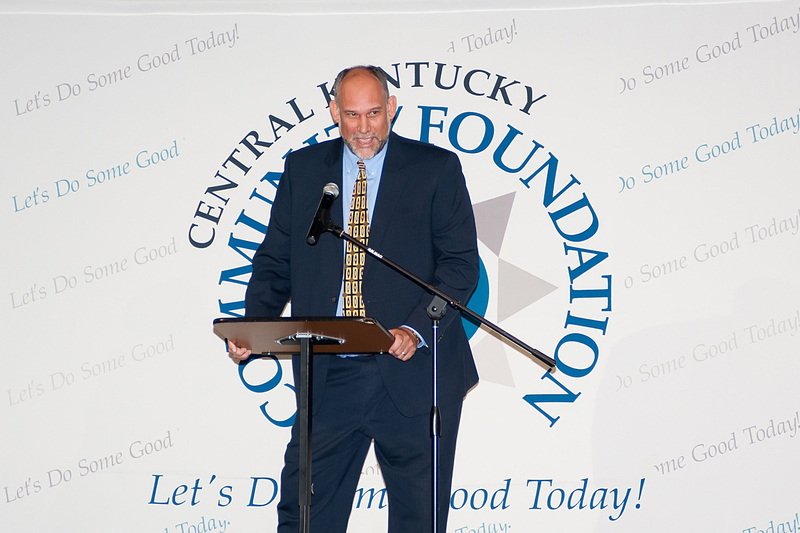 On Tuesday, September 22, 2016, community leaders and champions joined with Central Kentucky Community Foundation to celebrate the impact philanthropy plays in our communities. This was our third Celebrating Community Philanthropy event and it was a great opportunity for us to pause and come together to focus on the generosity of time, ideas and resources and the impact this generosity has for others. To set the stage for our theme, Helping People Help, some fantastic people shared their thoughts on helping others. Check out this video of people in our community who are willing to share of themselves to help inspire others. Keynote speaker Pete Chierecozzi shared his personal story and commitment to the future of his community through philanthropy. Pete shared an inspiring message about how the belief of one person can make a difference for an entire community. One person helping many people help. 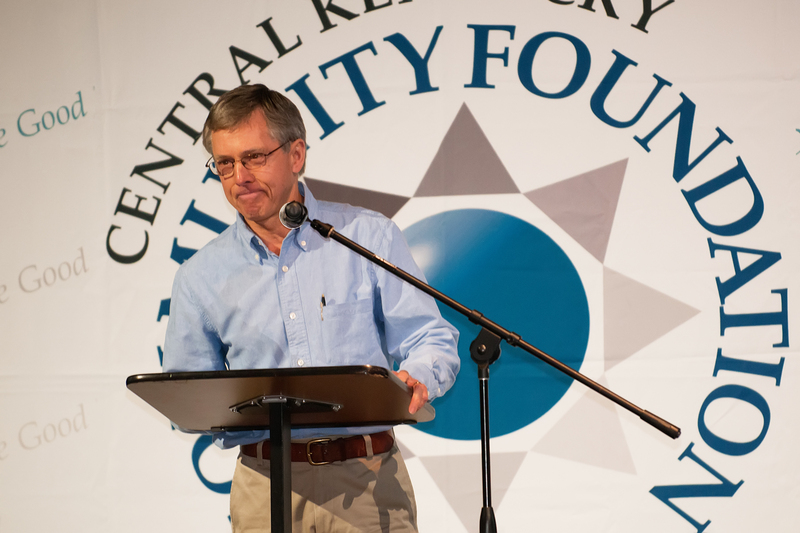 In December 2014, Matt Deneen approached CKCF with an idea to install a handicap accessible dock on Freeman Lake. A project of the Elizabethtown Paddlers Association, Paddlers with a Purpose set out to fund and build the dock. With an initial focus on disabled veterans, their passion for their pastime and for giving back drove the project. And with the partnership of more than 40 individuals, businesses and organizations, disabled veterans and thousands of other disabled people have access to paddling. 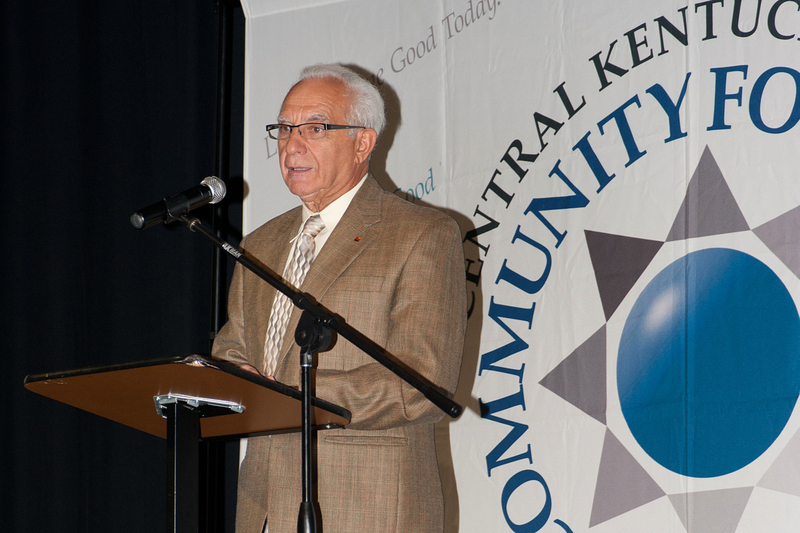 CKCF was proud to partner with the association and help make this important project a reality. “We needed a partner to get this going and the community foundation was that partner,” said Deneen. Paddlers with a Purpose had an opportunity to accept a significant gift, but the donation needed to be tax deductible. That’s where the community foundation stepped in, acting as the fiscal sponsor and linking donors with this initiative. 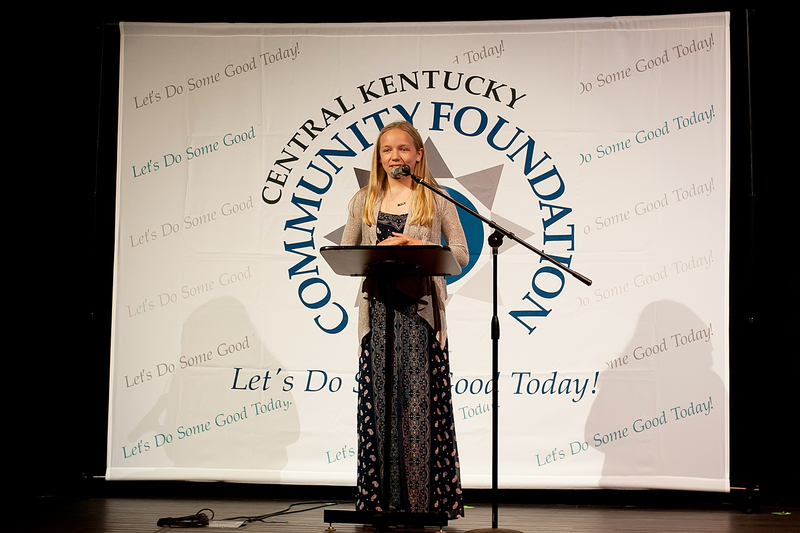 “When presented with a great idea, our community is generous and will step up to make it happen,” said CKCF President/CEO Davette B. Swiney. “Helping to make the fiscal connection between donors and initiatives is a need we can fill and we were very happy to provide that opportunity to Paddlers with a Purpose. On Memorial Day, hundreds gathered for a ribbon cutting ceremony at the new dock. With an original fundraising goal of $30,000, the project garnered enough support to raise $56,000 which allowed the scope of the project to expand. The dock was dedicated to Bob and Ella Mae Wade. As educational experiences change for students, so have the best ways of supporting students in their educational pursuits. Ron Gonterman shared how the Hart County Scholarship Alliance has taken an innovative approach to keep traditional philanthropy relevant. Many students start college while they are still in high school. This serves multiple purposes. It helps give students confidence in their ability to excel in college level work, the cost for these classes is significantly lower and it shortens the time they spend in college after high school. In Hart County, many students are first generation college attendees and they may lack family support – financial or otherwise – to further their education. Because this is a relatively new educational development, there are not many financial resources available for high school students taking college classes. This scholarship for dual credit classes gives students not just a financial boost, but a personal boost as well. 11 year old Rachel Ritchie captured our hearts with her passion for and persistence for her project Rachel’s Fun for Everyone — a playground that would accommodate everyone, including children that have physical limitations that often prohibit their use of traditional playground equipment. We were glad to present a $5,000 challenge to the Rachel’s Fun For Everyone Project to be used as a match for her fundraising. And we’ve already had inquiries from people wanting to support this project. For more information on the Rachel’s project, check out http://www.rachelsfunforeveryoneproject.com/.